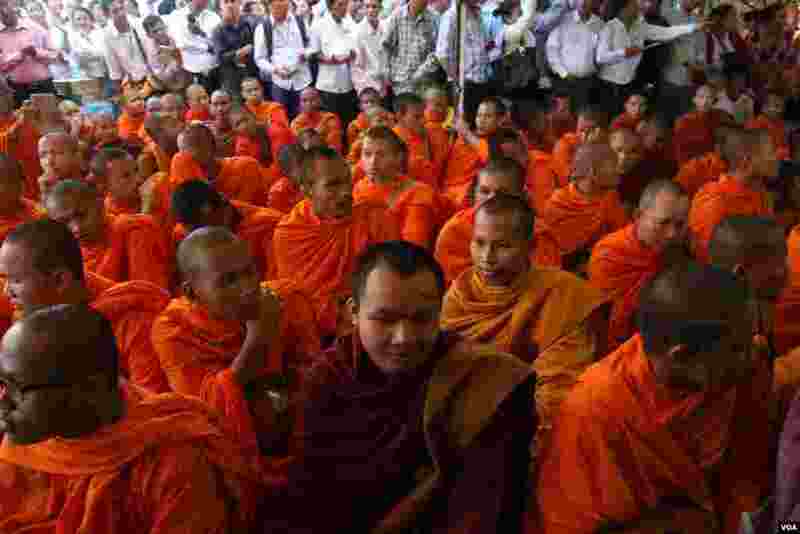 The opposition Cambodia National Rescue Party held a Buddhist ceremony at its to pray for the protection of its lawmakers. 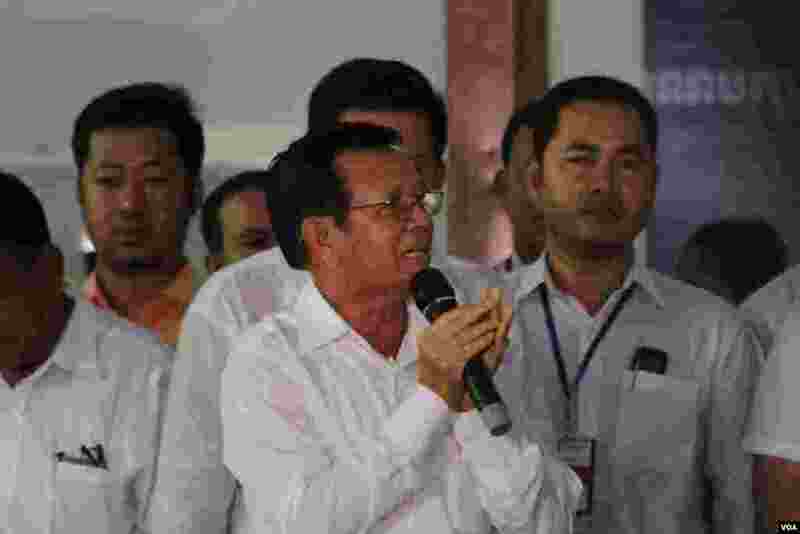 In recent weeks several CNRP officials have been accused of involvement in an ongoing case against the party’s deputy leader, Kem Sokha. 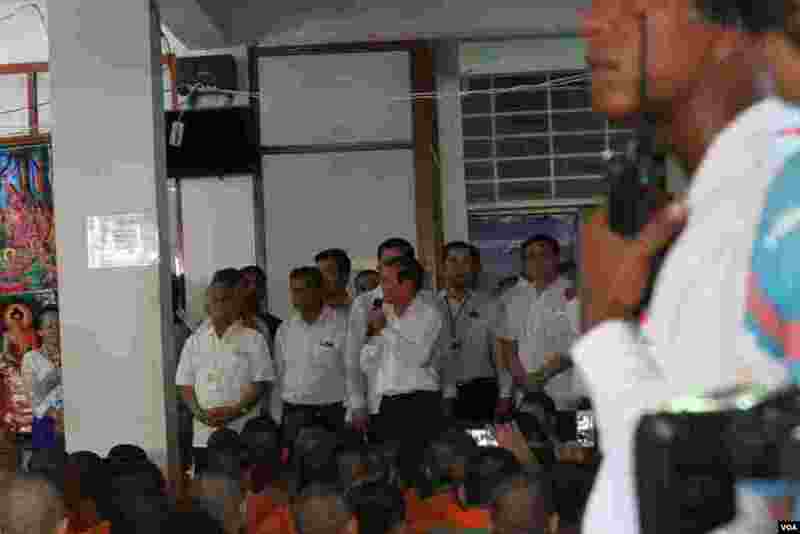 Sokha is alleged to have solicited the services of a prostitute. 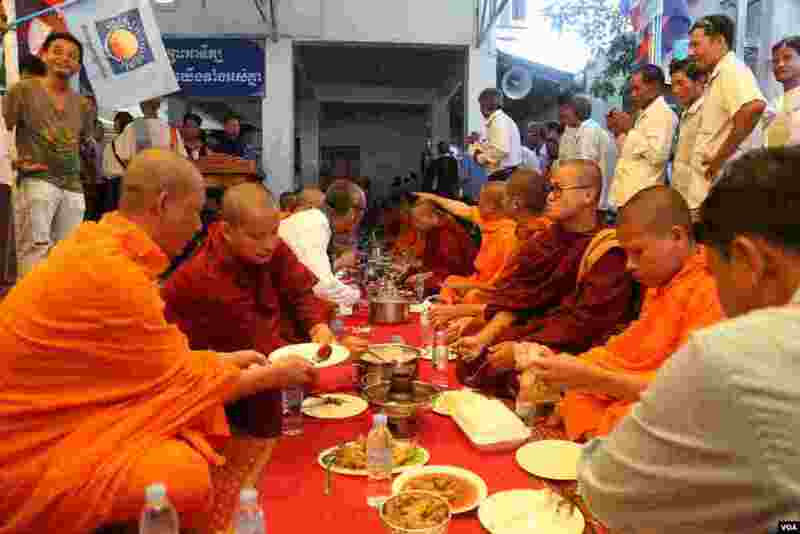 3 Kem Sokha, vice acting president of the opposition Cambodia National Rescue Party speaks to over 123 monks and some 400 supporters at the party's headquarter on Tuesday, June 7, 2016 while his party have been seeking the king's intervention on a lawmakers' immunity issues. 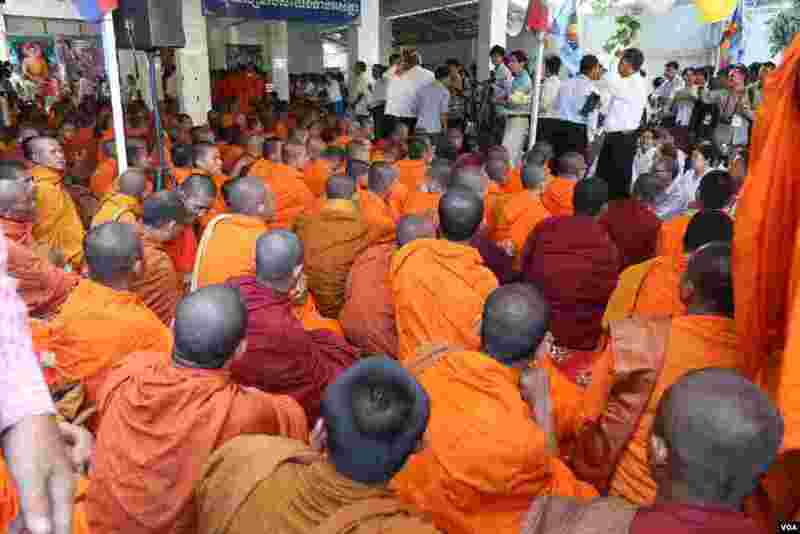 5 Kem Sokha, vice acting president of the opposition Cambodia National Rescue Party speaks to over 123 monks and some 400 supporters at the party's headquarter on Tuesday, June 7, 2016 while his party have been seeking the king's intervention on a lawmakers' immunity issues.